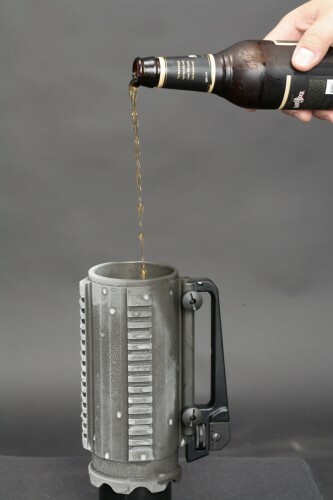 At Just under $280 a mug its a real deal! 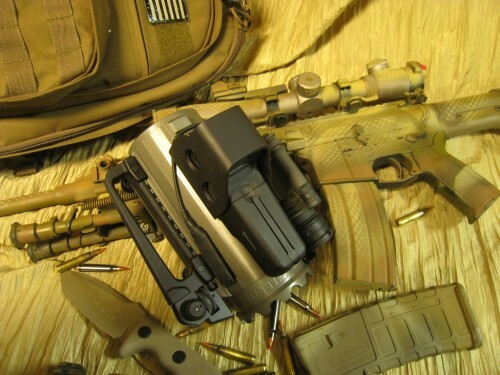 Built to military specifications, Battle Mug features a M1913 rail interface system which allows the operator to mount a standard issue M4 carry handle, tactical light, laser device, holographic sight (we call them ‘beer gogglesâ€) or even a bayonet for close quarters, high risk operations. Battle Mug is built to take the abuse and will be there to offer you a frosty 24oz. reward once the mission is complete. For gun nuts only, anyone who’s had to carry around an M-Anything for a week straight wouldn’t be looking to duplicate the rigid and non ergonomic structure of handrails. God damnit I know someday I am going to seem some schmuck drinking coffee from one of these BEGGING for some conversation out of it. You know it’s not dishwasher safe, you spent $280 on chick deterrent. It’ll punch your dishwasher in the balls! 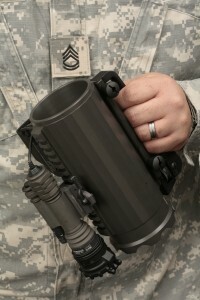 Wow, a product that preys on wannabe soldiers and other gun trash! I don’t see any real soldiers lining up to pay five times what the actual mug is worth. And there is very little beer in a combat zone. And what beer there is is usually only for the civilian contractors from other NATO countries. So we learned our lesson. Good to hear.